Learn more about poor oral hygiene. Unprovoked bleeding of the gums, and bleeding on light probing are two important signs of inflammation, and several conditions may cause the gums to be inflamed. The most common is poor oral hygiene, which can result in tooth decay and gingivitis. There are many other causes, including blood dyscrasias, diabetes, failing dental restorations, food compaction injuries, periodontal disease, and poorly contoured dental restorations. Receding gums resulting in exposed tooth roots may occur for a variety of reasons, including a tooth grinding habit, improper position of the teeth in the jaws (malocclusions), and periodontal disease. Exposed tooth roots can be very sensitive, and are at greater risk for tooth decay. What causes gum blisters? Should I be concerned? Blisters that appear on the gums over a single tooth root are often a sign of a long-term infection in the tooth. 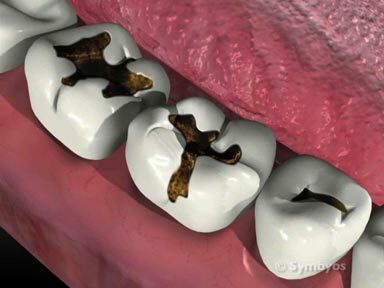 The infection may arise inside the tooth pulp, or around the tooth’s roots. There are several types of abscess that may be diagnosed as a result, including acute apical abscesses, phoenix abscesses, and lateral periodontal abscesses. A single gum blister is sometimes referred to by dentists as a parulus. There are also a variety of vesiculobullous disorders like pemphigus and cicatricial pemphigoid, which are rare autoimmune blistering illness that affect the skin and mucous membranes. Herpetic lesions may also appear on the gums as small blisters, which can rupture and be very painful. Certain systemic illnesses like Crohn’s disease can produce mouth sores as well. Gum sores occur in many ways. In contrast to “sore gums”, gum sores usually represent localized irritation of otherwise healthy gums. Trauma from a toothbrush is fairly common, and although it can be painful, usually requires no treatment. Avoidance of spicy or acidic food and drink can reduce the level of pain during the early healing of lesions of this type. Sores which affect multiple areas of the gums may be due to herpetic infections or reinfections. 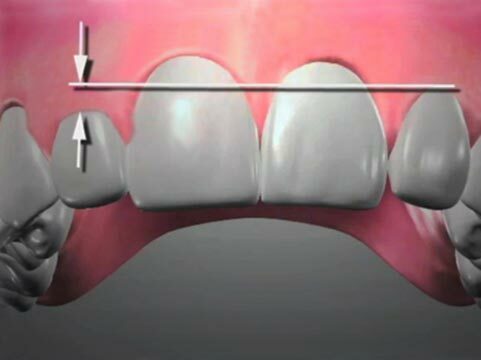 Generally, these are found on thick, toughened attached gums. Gum sores which affect the thin, unattached gum tissues over the tooth root tips, alongside the tongue, and in the floor of the mouth may be canker sores. Gum blisters that appear on the gums over a single tooth root are often a sign of a long-term infection in the tooth. The infection may arise inside the tooth pulp, or around the tooth’s roots. There are several types of abscesses that may be diagnosed as a result. There are also a variety rare autoimmune blistering illness that affect the skin and mucous membranes. I have sore gums. Could this be a problem? Sore gums may also be referred to as inflamed gums, painful gums, red gums, or tender gums. 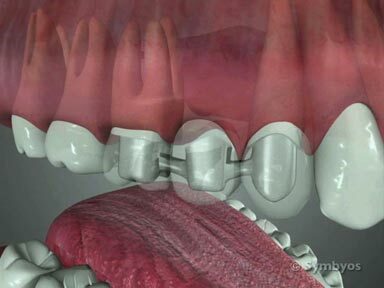 Pain is one of the symptoms of inflammation, and several conditions may cause the gums to be tender. The most common is poor oral hygiene, which can lead to tooth decay and gingivitis. Poorly contoured dental restorations can cause gums to be locally sore, as can failing dental restorations and food compaction injuries.